How strong are your workplace values? Do your employees sit, head in hands, sighing ‘what’s the point’ into their coffee cups when you’re not looking? Kids are most engaged in A-Level lessons. 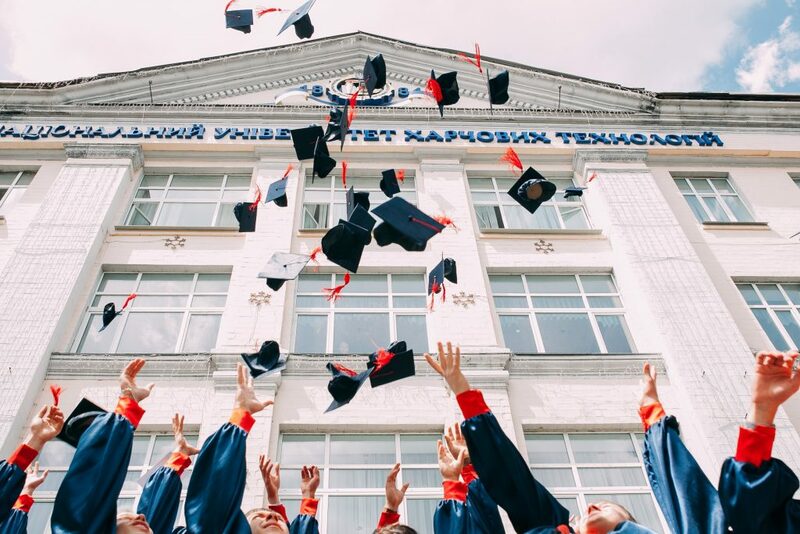 With exams at the end getting them into uni, there is a concrete purpose behind their work, driving commitment and dedication. Employee engagement also links with a sense of purpose; Ben Shahar (lecturer of the most popular 2006 class at Harvard!) explains that it’s not good enough to hit deals and make money, we need to actually find meaning in what we do to be happier and more engaged. Have clear workplace values. Promote them, publicise them and ensure all employees are aware of them. Find ways to bring them to life at work, in a way that is authentic and relatable to everyone. For example, if you promote charitable work, run fundraisers. If you promote healthy living, offer fresh fruit each day – maybe even gym promotions? DISCLAIMER: No one likes a hypocrite. Don’t promote family values and then refuse holiday sign-off for a family wedding. 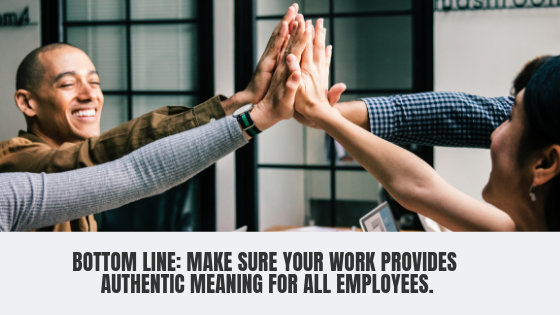 Bottom Line: Make sure your work provides authentic meaning for all employees.